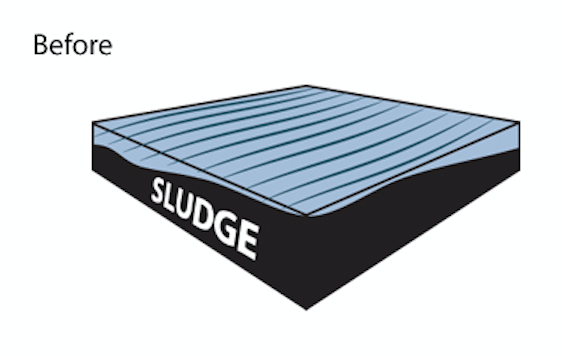 AquaPond – Clarifies water, reduces solids and odors in ponds. AquaPond is a biologically active liquid designed to treat dirty ponds, lagoons and many other water features. AquaPond uses natural microbes without added chemicals to turn organic matter, such as algae, fish waste and scum, into harmless byproducts. Not for treatment of potable water. For best results, pH of water to be treated should be between 6 and 9. 5 gallons per acre foot. In intensive, contained systems 5 gallons per 1,000 gallons of containment. Dosage should be repeated weekly until water conditions improve. Lower occasional dosages are encouraged for preventative treatment. 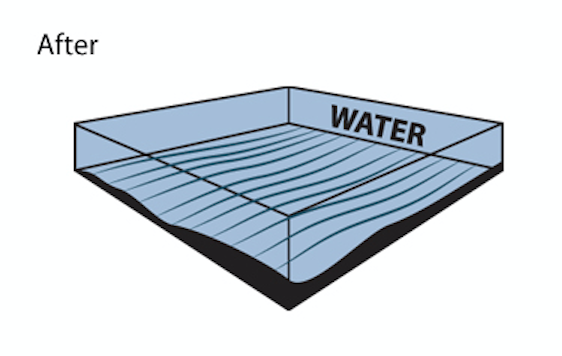 Dose where water enters system or where aeration or other agitation takes place. Aeration and mixing will enhance the performance of AquaPond and may be required. Protect from freezing. During cold weather a decrease in activity may be noticed, so an increase in dosage may be required.